How Do I Choose the Best Leather Lace-Up Boots? The best leather hiking boots are sturdy enough to support the ankle, but also flexible enough to be comfortable. Leather boots should be waterproof, to keep a person's feet warm and dry. 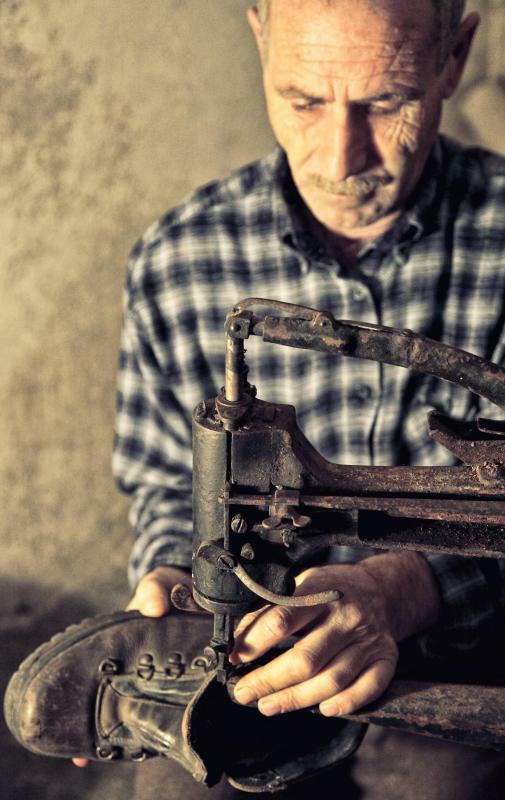 Many lace-up work boots can last long with minimal repair. There are many types of leather lace-up boots. 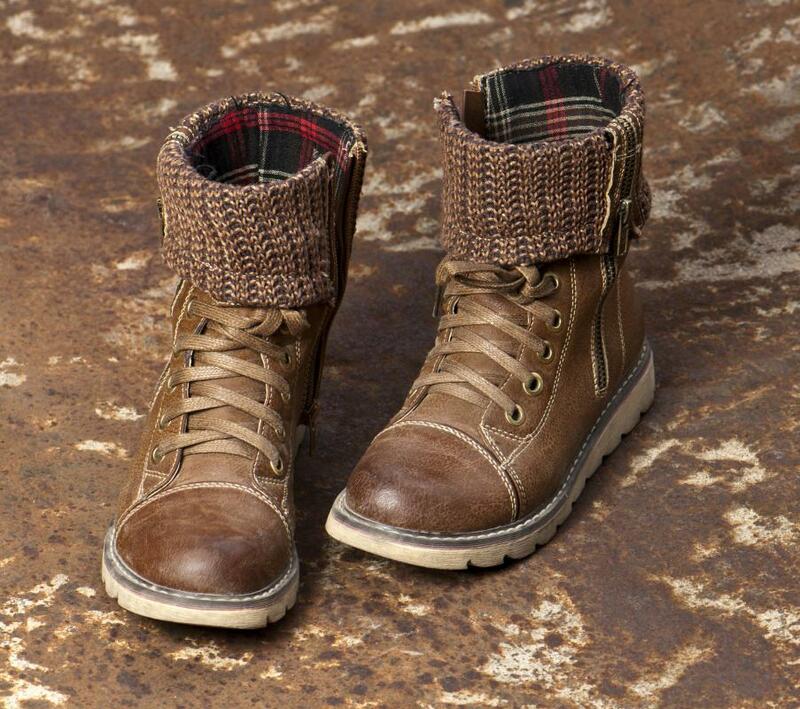 These range from knee-high or thigh-high boots to steel-toe capped work boots and ankle-high hiking boots. Each type of boot has its own requirements to be the best boot for you. In addition to those requirements, there are the basics to making any decision, which include research, budget and making sure the shoes are a good fit. The two things that all leather lace-up boots have in common are that they are made of leather and that they are lace-up rather than closed with buckles. It is important for many people that leather boots are made from horses and cows that died of natural causes; many shoe companies will be able to tell you if this is the case. Good-quality leather boots should be sturdy and well-stitched. The leather should be unblemished, not creased or cracked, and should be relatively flexible. The laces will pass through a number of holes or loops. The most obvious thing to check is that the laces are long enough to lace up and to tie a double knot at the top. Secondly, and this especially counts for work boots and hiking boots, check the quality of the laces and the nature of the loops. This is because with cheap laces or sharp loops, the action of walking can cause the laces to snap. If you really like the boots, then you can always buy a stronger set of laces that will not snap so easily. 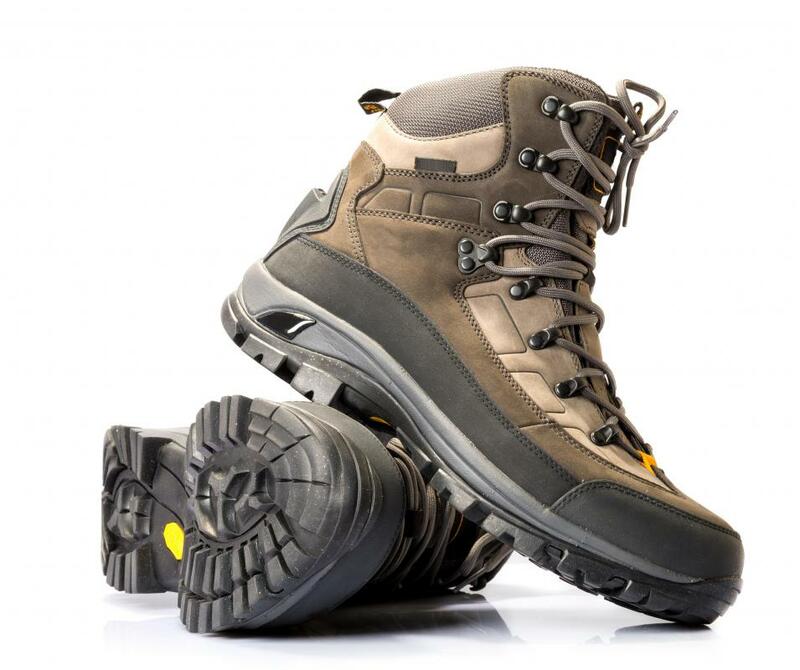 The best leather lace-up boots for hiking need to have a number of features. First, they need to have a metal bar in the sole to stop excessive bending, as this protects the sole of the foot. Second, they need to provide good support for the ankles. This, in part, comes from additional lace loops around the ankle. Ankle supports need to be sturdy to prevent you from twisting your ankle, but also flexible enough so they do not cut in to the ankle when you are walking. They should also be waterproof, not just water-resistant, by having a waterproof membrane underneath the leather. In terms of working boots, requirements are much the same as for hiking boots, however, they also need to have a sturdy toecap. In most cases, this means having a steel toecap to protect the foot from falling objects. Whether the boots are totally waterproof or just water-resistant, as leather naturally is, depends on the nature of work you do. Knee-high and thigh-high leather lace-up boots have fewer requirements. This is because these boots are less about function and more about style. Important factors for these boots include whether they are comfortable for you to wear for a long time, whether they look good, are durable and whether they match your outfits. Choose boots that go with as many outfits as possible to broaden your range of fashion choices. When shopping for leather lace-up boots, it helps if you know what your budget is and what exactly you want from your boots. Research the boots well by visiting local shops and going online. If you can, try boots on in your size and other sizes to find the most comfortable fit, and remember that so long as you do not damage your boots, you can return them within a certain amount of time and either get your money back or exchange them for a new pair. How Do I Choose the Best Leather Buckle Boots? What are Peep Toe Boots?